Take a break from your midterm studying to meet one of our fantastic Peer Educators, Madison! This is Madison’s second year with PEP and she continually brightens up the room with her infectious laugh and ambitious ideas. Read on to hear Madison’s methods for dealing with stress! To relieve stress I take time to myself to do little things I enjoy, like watching a movie or even going downtown to shop. Outside of school I’m passionate about sports, specifically Track and Field. I’m also passionate about social organizations that help build a strong sense of community on campus. I would like students to know that although there is stigma surrounding mental health, you will not be judged at CAPS and you can feel cared for and supported by staff. Madison is a third year student, double majoring in Intensive Psychology, and Cognitive Science and she is affiliated with Rachel Carson College. We all want to be productive in college! And we often push ourselves to get more involved, to make the most of our college years, and to do the best we can. 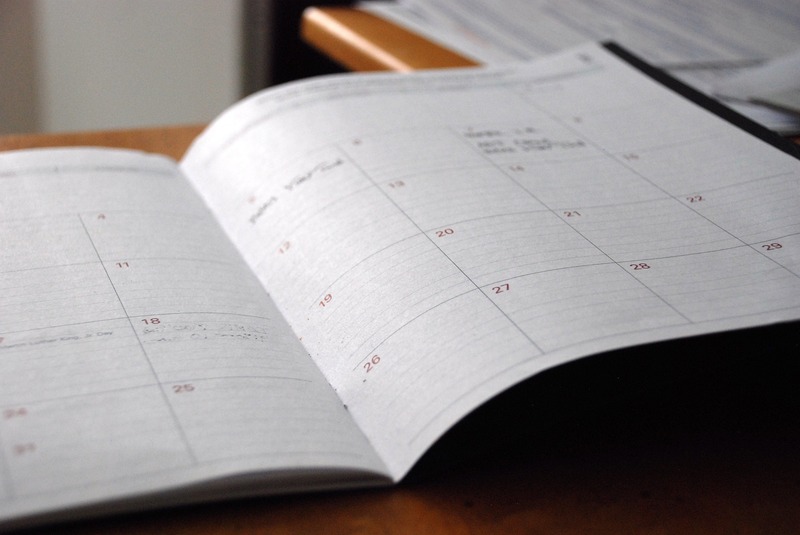 But when does this proactive self-motivation slide over the edge and become stress? Read on to hear Priyanka’s ideas about how she motivates herself without laying on too much pressure. Coming into my second year of college I’ve created a lot of expectations for myself. I want to get more involved in organizations, focus more on my writing and art, keeping a consistent workout schedule, learning how to cook healthy meals since I have an apar tment this year, all while juggling schoolwork. After my first year of college I felt like I needed to do more than just school. I needed to do something bigger that helped other people and made me feel good about myself. I became a Peer Educator because I wanted to get more people educated on the services CAPS offers as well as advocate for everyone’s mental health. I told myself to get out my comfort zone and join writing organizations to be more proactive with my goals. I want to improve my artwork and writing and so I have to do that scary thing of getting people to critique my work. Doing something outside of the classroom really helps me understand that I am human and that I don’t need to have my life just be about school. I can also focus on myself and do what I want in order to give myself a full college experience. Coming to college we may feel excited, but also stressed out. We can feel isolated from the rest of the world, especially if we live on campus, that school can literally be our entire world. I encourage you to destress by doing something that doesn’t have to do with school, maybe pushing yourself out of your comfort zone to meet new people can be one way. Give yourself something that can take you away from some of your stress and anxiety. You deserve a good college experience and trying new opportunities that seem fun and interesting can help take your mind off of things. But also try to take time for yourself to relax, hang out with friends, and just be lazy. Take a time out to meet Janely! Janely is new to our team this year and she makes a wonderful addition! We are so excited to have her enthusiastic feedback and unique input as we work together to make CAPS more accessible to you all! I tend to always be stressed out, whether it’s from school, family, friends, extra curricular activities, or just my own inner funk; I constantly have to calm myself down. In order to relieve some of that stress, I like to do breathing exercises at ocean views on campus. If I have any extra time, I also like to go to the gym and run on the treadmill, then finish off with some yoga poses. I am very passionate about the importance of mindfulness and self-awareness. In this sense, yoga and breathing exercises have strengthened my ability to know when I am stressed out or when I am feeling extremely anxious, or even when I am on the path to falling back into a depressive state. I think it is extremely important that we, as young adults, build self-awareness in order to know how to listen to our mind and body so that we are then able to feel centered and sane. As a student, I know that CAPS can be a little intimidating and even scary! But one thing that I’d like you all to know is that CAPS is here for all students! They are here to help, support, and assist you with different aspects of your life – not just academics! As a Peer Educator of CAPS, I am here to help you locate resources in order to make sure that your mental, physical, and emotional health are in great shape. Not only am I here to help you but also to be a friend who you can trust and rely on! Janely is a second year Merrill College affiliate and she is double majoring in Psychology and Latin American & Latinx Studies. Happy Fall, Slugs! We want to kick things off by introducing you to one of our new and wonderful Peer Educators, Jonathon! Jonathon is new to PEP this year and he has already made a positive impact with his great sense of humor and extensive outreach experience. In order to relieve stress, I like to run in the East Field or watch an inspirational movie. I am passionate about advocacy. I see advocacy as a way for the general population to voice their opinion in topics that they are interested in. I feel that many of my peers should be aware that there are many CAPS services that are free for them. This includes the Let’s Talk consultations, the Peer Educator-led workshops, and both the Daytime and Half-hours CAPS Crisis Services. Jonathon is a third year Psychology major from College Ten. Welcome to the new school year! 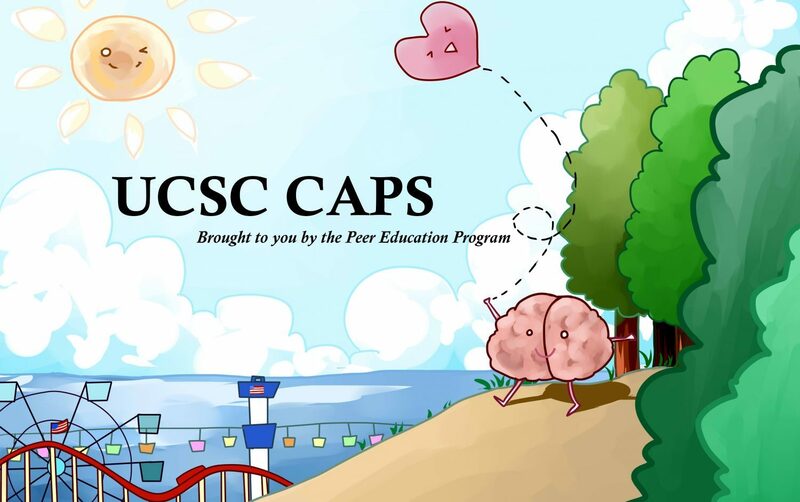 On behalf of CAPS and the Peer Education program we hope that you enjoyed your first week at UCSC! This year we are welcoming a new team of Peer Educators for the 2017-2018 school year. We are eager to reach out to students, share our stories, and connect at Peer Education events throughout campus! So check out the blog every week to meet our new team and read about mental health!